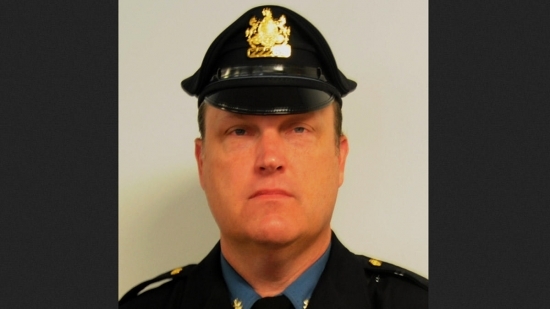 A Bensalem Police detective collapsed and died suddenly while running a 5k race in Northeast Philadelphia on Saturday. 42-year-old Bensalem Police Detective Kevin Cornish was participating in the 19154 5K in the Parkwood neighborhood when he fell near Academy and Torrey roads shortly after the 9 a.m. start. Other officers running the race stopped and performed CPR and Cornish was taken to nearby Aria-Torresdale Hospital but was pronounced dead at 11:19 a.m. The race was a fundraiser for St. Anselm Parish. Cornish was a 12-year veteran of the force and worked on the Special Victims Unit specializing in crimes against children. He was reportly healthy, a vegan and avid runner. The husband and father of an 11-year-old daughter may have suffered a heart attack but an autopsy will confirm the cause of death. The bodies of two people were taken out of a Burlington County home Saturday morning after being discovered by a relative. A man and a woman were discovered dead in a home around 9:00 a.m. on the 200 block of Washington Street in Mount Holly, NJ. After the bodies were removed, neighbors say that they also saw a bloodied man being taken away by an ambulance and another woman being escorted out in handcuffs. The prosecutor's office has not released any details about the homicide victims or any possible suspects, but they have said that they do not believe the public is in any danger. Crime scene investigators spend the better part of Saturday collecting evidence from in and around the twin home. Neighbors did not report hearing anything coming from the house last night. UPDATE: 27-year-old Dennis Pozniak is accused of killing his girlfriend 24-year-old Nicole Wilson and her father 52-year-old Bryan Wilson. Pozniak had been living at the home with his girlfriend and her family for several months. He was taken to the hospital for self-inflicted wounds. Autopsies revealed that the two victims had been bludgeoned to death. A man arrested for suspicion of driving under the influence died Friday night while in police custody in Philadelphia. A 29-year-old man was taken into custody at around 3:45 pm Friday and taken to police headquarters at 7th and Race streets. The man was found unresponsive in his cell at around 10:15 pm. He was taken to Hahnemann University Hospital and pronounced dead around an hour later. His identity has not been released and the cause of death remains under investigation.